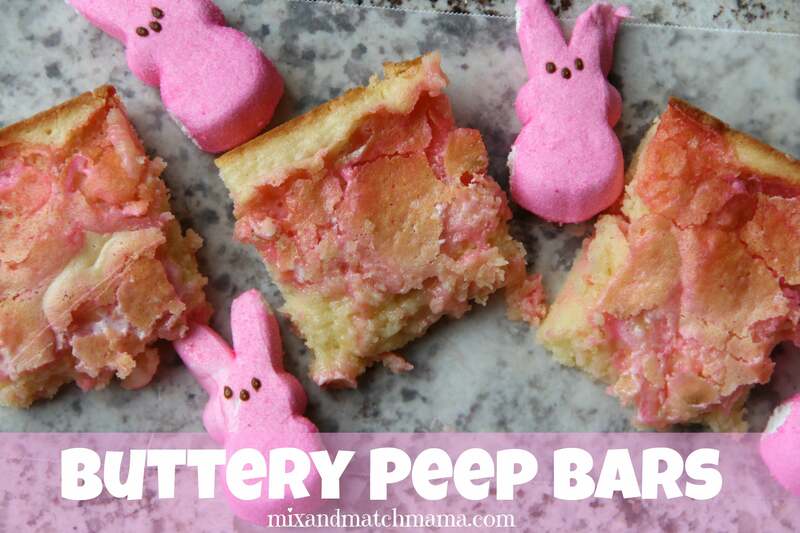 I’m going to go ahead and throw it out there…Kensington and I have named these Buttery Peep Bars our very favorite bar. Ever. The real problem is…how are we going to make them once Peep season is over?! Because now that we’ve had them, there is no going back. These bars slice like a brownie, but they’re buttery like a shortbread cookie with a hint of pink and creamy goodness from our Peeps. 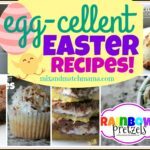 You need to make these before Easter gets here!! This recipe makes one batch of bars in a 9×13 baking dish. In a microwavable bowl, melt your butter and white chocoalte chips together stopping to stir every 30 seconds. Once melted, set aside to cool slightly. 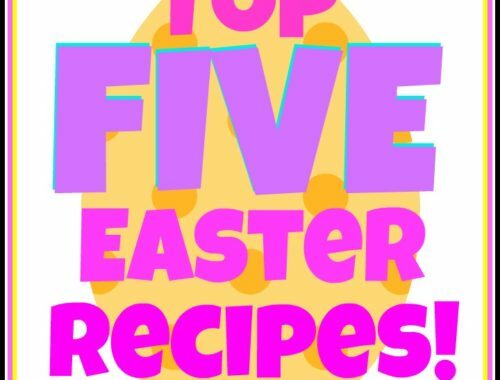 In a mixing bowl, beat your eggs with your sugar. Next, beat in your melted white chocolate/butter mixture. Then, beat in your flour followed by your salt. (Try not to over-mix the batter. Just beat until everything is incorporated.) Pour half of this mixture down into your prepared baking dish, and then place your Peeps on top. Next, pour the other half down over your peeps (the batter is thick, so I dolloped it on and then smoothed it around with my spatula). Pop this in the oven and bake about 30 minutes or until a toothpick inserted in the middle comes out clean. Remove bars from oven and cool just slightly before enjoying. 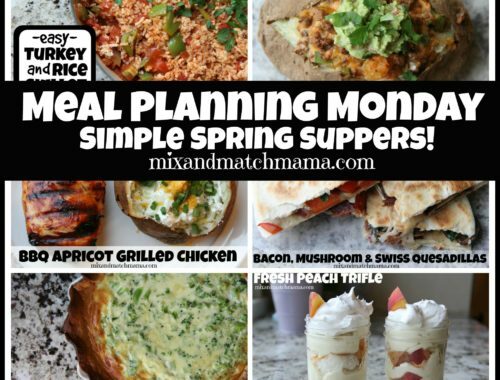 …I promise you friends, you will be making these on repeat! I tried these tonight. I don’t recommend using the chick peeps. The center of my bars were still too gooey even after baking for 40 minutes. The bars were getting too brown so I removed them from the oven. I’m bummed that they didn’t turn out right for me. Ah! I hate that you didn’t have a good experience! Ours were definitely gooey…but we liked it that way! Yum! Presley and I are going to make these ASAP!! I can so get on board with these. My friends and I started roasting peeps over the fire pit… yes, you should totally try it! With the coating on the peeps, they just get all crispy, and they are the best!! They totally take s’mores to the next level! Luckily a bunch of the holidays seem to have peeps now (Halloween & Christmas immediately come to mind). Just need to stock up the day after the holiday when they’re all 70% off! I may need to make these, my dad LOVES peeps! 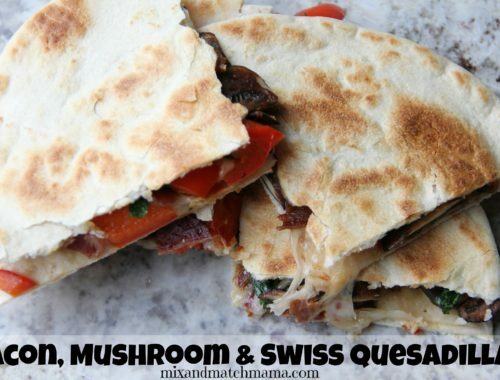 I’m totally making these this week!! How many servings does it make? Rich enough to cut into small bars? Yes! I think you can easily get 12 out. You can buy Peeps all year long on the Peeps & Co website ( or you can google the parent company JustBorn.com and click on “shop now”). Just Born is the parent company in Bethlehem PA and they have a whole list of yummy candies. Just sayin’! Mine didn’t work out!! 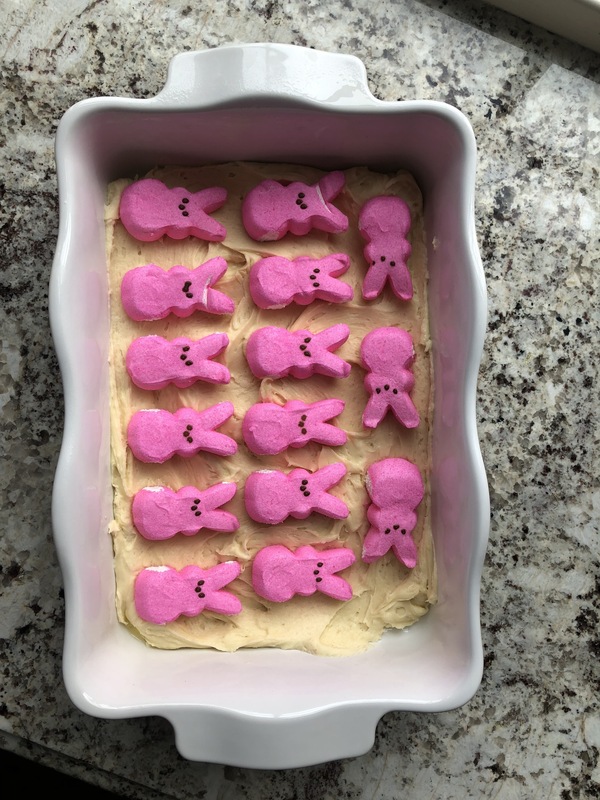 The peeps started getting brown and the batter wasn’t even fully baked. So sad. Oh boo! Did you have a layer of batter covering them? I’m sorry! I even made them again this week and ours turned out great again! Very fun! I am planning to make some with my daughter this weekend!! Did you use plain or self-rising flour? Thank you! 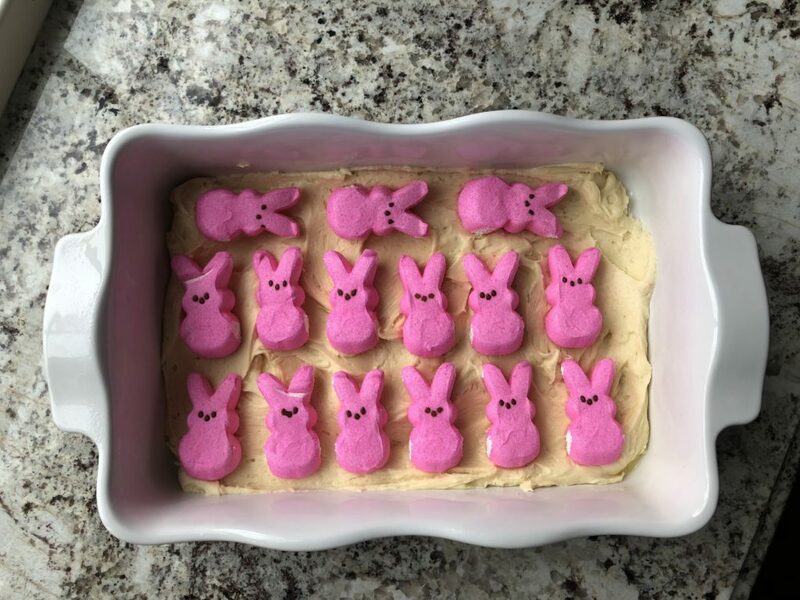 I recommend putting the peeps down first and then pouring the batter over them. I also recommend cooking at 325 degrees for 35-40 minutes so that’s the peeps don’t brown too much. First batch I followed this recipe and cooking instructions and they didn’t turn out well (uncooked inside and burnt peeps on outside). Second time I prepared them my way and they were really good. The recipe is delicious and adorable, though! Instead of splitting the batter? I guess that’s one way to do it too! I’m glad you enjoyed them! 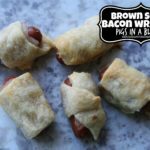 I made these tonight and they turned out great! My peeps kept their shape and you can even see the bunny shape after they were baked. Very festive! My friend Keisha used the chicks and cut them in half.